Shanhua Monastery is located in central Datong within the old city walls. 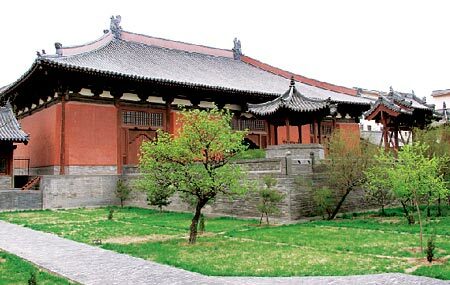 It was first constructed during the Tang dynasty (618-907AD) though most of the present wooden building dates back to the 12th century. The temple houses some intricately carved Jin dynasty (265-420AD) statues and has a screen wall decorated with dragons.